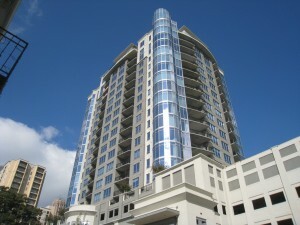 Luxe Midtown Atlanta, opened in 2008, and at the time was the NEWEST condominium construction that is less than a block from Piedmont Park, on 12th Street. (Azure on the Park and Alta on The Park are both Under Construction and For Rent Apartment buildings that will open in 2017) The building is what one may call a boutique building with only 116 homes, but it’s floor plans, views and amenities are…fabulous! Take a look at Luxe Midtown Atlanta! Note: Beginning in 2017, Market Reports for this building will be added to this page, instead of appearing in a separate blog post and a link below. So current market information will always be listed below. Luxe Midtown saw 22 home sales in 2016. Not seen very often in the condo market, but most of the listings were handled by one agent. That said, the days on the market in the building averaged 56 days. There were some longer listing times of 167, 179 and 195 days on the market. These were caused by concerns of what would happen to the views with the construction of Yoo on the Park and Alta on the Park, both rental apartment buildings that have gone up on either side of the building. Six 1-bedroom homes sold in a range of $265,000 – $307,000. There was a 1-bedroom, 2 bath home that was formerly a 2 bedroom that sold for $405,000! 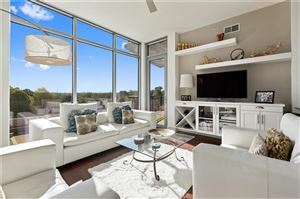 3 two-bedroom, 2 bath homes sold at $455,000, $463,000 and $515,000. 12 two-bedroom, 2.5 bath homes sold in a range of $510,000 – $850,000. 1 three-bedroom, 2.5 bath home sold for $675,000, with 1,887 square feet. In looking at all the past sales, we can’t quite figure out why this 3 bedroom sold for such a low price. Future sales may be impacted by the new construction on either side of the building. Time will tell. Data last updated: 4/16/19 6:13 PM PDT.